Offering a garden, Loxandra Studios offers accommodation in Metamorfosi. There is a cafe - creperie in the ground floor where guest can have breakfast and not only on demand. Room service works as well so you can have anything from the cafe - creperie in your studio. There is also a wonderful terrace in the first floor with a romantic quite bar where guest can enjoy a drink on-site, coffee, pizza, pies, drinks, pancakes, toasts, ice-cream etc looking at the clear Greek summer sky and the famous pine forest of Metamorfosi which is a few mettres away and known for its healthy affection at humans health! The main organized beach of Metamorfosi is 70m away from the accommodation. 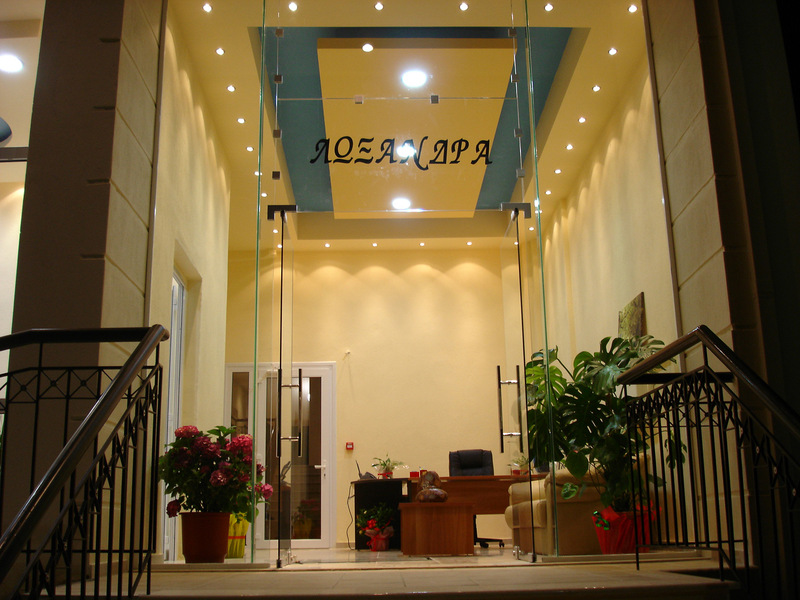 All Loxandra Studios have a fully equipped kitchen with a refrigerator. 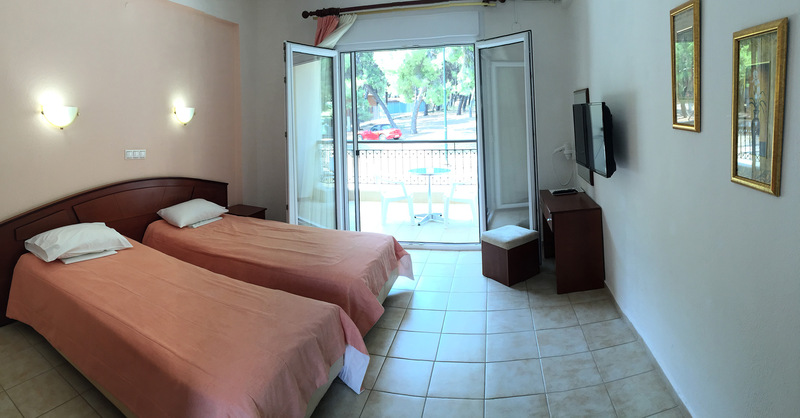 There is a private bathroom with shower and a hair dryer in each unit, free Wi-fi is available in all the areas of the accommodation as well as in the studios, studios are air conditioned, with balcony with nice view and led TV 32 inches (Kid's TV program available for free). 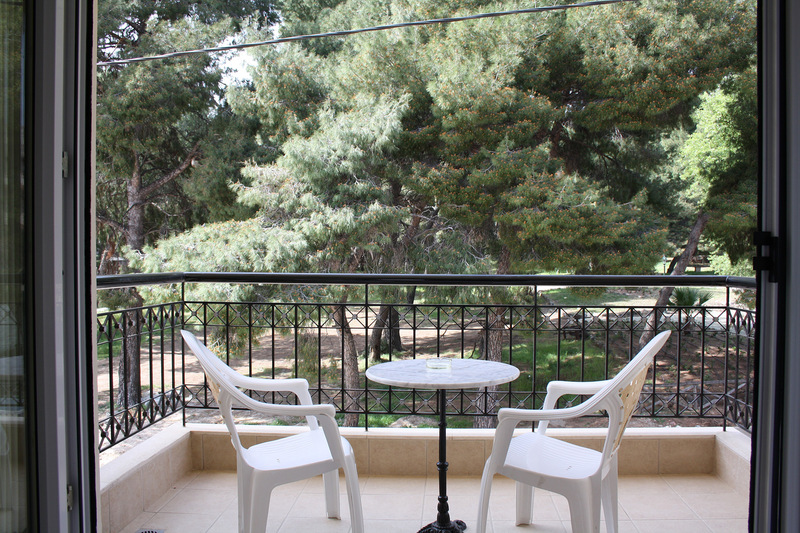 Sani Beach is 27 km from the property, Ouranoupoli is 34 km from Loxandra Studios. Nikiti and Psakoudia are in just 5 km, Neos Marmaras at 34 km, Vourvourou at 15 km, Kavourotripes at 35 km, Nea Moudania at 20 km, Poligiros at 21 kmand Afitos at 30 km, ancient Olynthos at 15 kmand the famous cave of Petralona at 30 km. 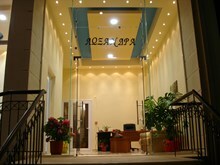 The nearest airport is Thessaloniki Airport, 62 km from the property.